Happy Monday loves! I have a few more #NYFW posts to share, and the post bonanza continues today with day numero cuatro. I didn't have any shows scheduled for day 3 so I took the day to hang around in the city with my #NYFW buddy Marisol. We met some awesome gals for dinner and had so much fun! Hope you guys caught that on my snap! For Day 4, I was feeling super refreshed and very ready for the Leanne Marshall show. The weather was crappy and pretty much raining all day but I didn't let it ruin my outfit mood. I wore a leopard dress and matched it perfectly with my favorite trench coat. I had to buy an umbrella last minute because the light baby drizzle turned into real NYC rain. I must say, the umbrella was a nice accessory to my look and more evidence that some aspects of the best looks don't even need to be planned out. I was able to get a few shots with the jacket open so I can show off my gorgeous bracelet from Evelyn Brooks. Her jewelry is amazing and I really loved how it complimented the dress. Now, let's get right to the show itself.. The Leanne Marshall show was very beautiful and it really had a romantic feel with the gorgeous gowns flowing down the runway. 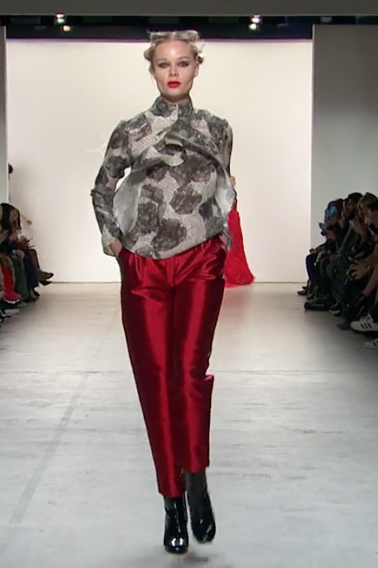 There was an eclectic mix of soft color, monochromes, bright and subtle golds, as well as some pops of red in the collection. Ms. Marshall stated that the theme of the collection was resurrection, and that she drew inspiration from medieval times. The entire collection was absolutely to die for, and I really wanted to pull some of these looks off the runway to wear for Valentine's Day! I love how every model had their hair and makeup done in complimentary ways in order to take their look to perfection. Here's some of my favorite looks! The show was jammed packed with a few stars I recognized, like Snooki and Sammy from the Jersey Shore. Also, I saw Emma Myles from Orange Is The New Black, Danielle Campbell from Prison Break (one of my favorite shows ever!) 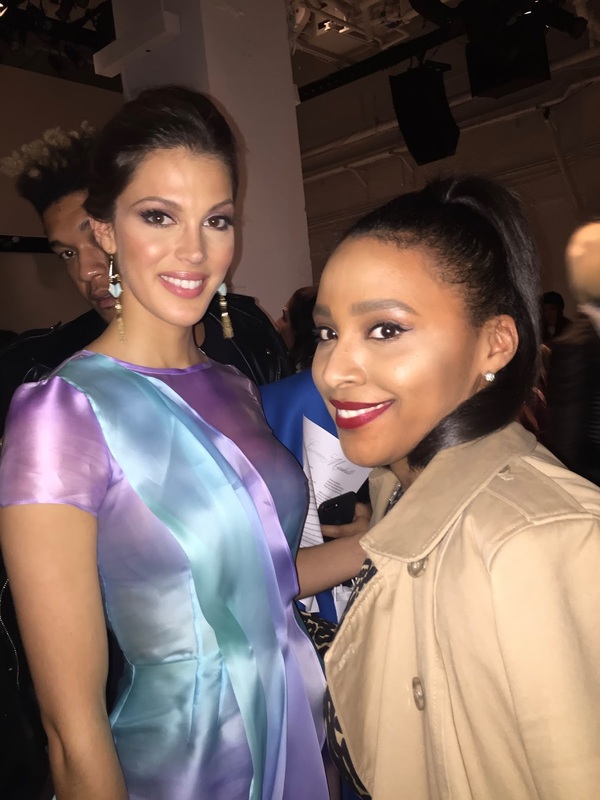 and Miss Universe herself Iris Mittenaere. I was able to snap a picture with her, as she actually signaled me over despite needing to leave for another event. She was super sweet and even more gorgeous in person. Thanks for stopping by my kloset, and I hope you found something you liked! Have a great week fashionistas! You look absolutely gorgeous babe! Love the outfit, the dress is stunning and it suits you so well!! How amazing you got to meet Denielle Campbell - Prison Break is one of my all time favourite shows too! Apparently its coming back. So exciting! Watching movies is an incredible experience and superb supply of entertainment and enjoyable movies on 123 movies. As much because you may download movies from FMovies, you're ready to as well stream your favourite movies on movie4kcom with subtitles in the occasion you want to find the movies at your convenience.